This established loose-leaf work examines the laws on restrictive agreements, monopolies, and mergers in the jurisdictions of the United States, the United Kingdom, Germany, and the European Community. Anti-trust laws have rarely been more vigorously enforced with fines of millions of pounds imposed in the US, EU, UK and other jurisdictions on a regular basis. Some states, including the US and the UK, have introduced criminal liability for corporate executives who breach anti-cartel legislation. Many companies operate in an international environment and need a work which can provide analysis of legislation in several jurisdictions, a unique feature of this regularly updated work. Comparative Law of Monopolies: Basic Work and Supplements, Volumes 1 -3 first describes competition law - on Section 1 of the Sherman Act, Article 81and 82 of the Treaty of Rome, Sections 1 to 21 of the German law against Restraints of Competition, and the UK Competition Act 1998 and Enterprise Act 2002 to help understand the rules governing anti-competitive practices, mergers and monopolies. It then analyses the current laws applying on a county-by-country basis. Lastly, it offers a novel feature: a detailed exploration of the similarities and differences between countries' practices. 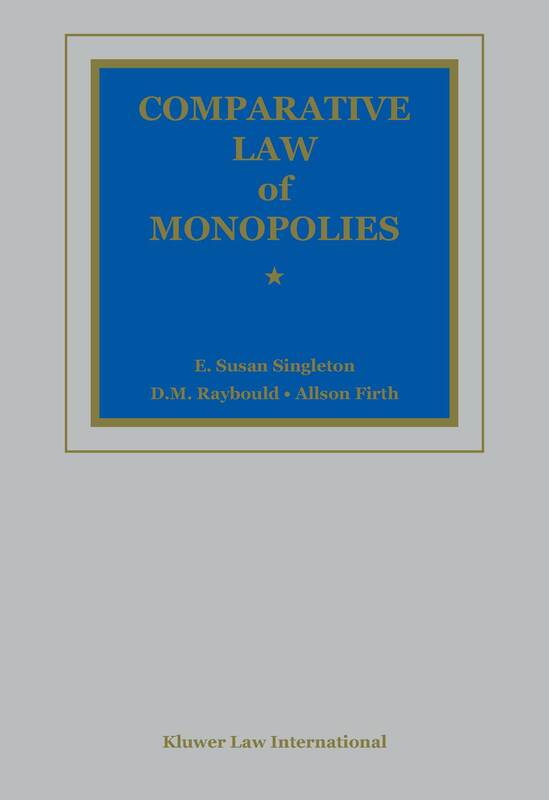 Through this comparison and contrast of concepts of monopoly/dominance, abusive conduct, and merger control, the reader gains a real understanding of the current objectives of antitrust policy. Practical features include a table of cases for easy reference, outlines and overviews of various substantive provisions of law, and an extensive index. A supplement service allows the three-volume basic work to remain current with two supplements published each year and available via an annual subscription.